Research conducted by Friends and partner organization Openlands proves what we knew all along: investing in the Chicago River is good for the river and good for the region. 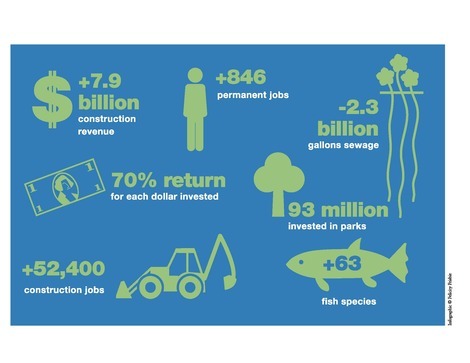 The study, Our Liquid Asset: The Economic Benefits of a Clean Chicago River, underscores how water quality improvements have substantial returns on investment. Improvements that address water quality, flooding, and public access to the river support the local economy by creating jobs, generating income and revenue, and improving our quality of life.